hing can replace the index in electronic texts. This ignores the intellectual input of the indexer, who analyses the text, distinguishing between significant information and passing mentions, linking related topics and organising the index entries with sub-headings and cross-references to allow for easy and efficient access. 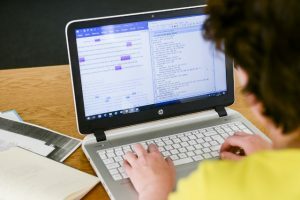 This blog warns of the dangers of full-text searching and this article aimed at technical writers, originally published in ISTC journal, The Communicator, sets out some of the advantages of indexes compared with full-text searching. Publishers have been slow to adopt the necessary technology and standards to ensure that back-of-the-book indexes can be adapted to ebook readers and online delivery. The absence of fixed pagination in an ebook, for example, makes the traditional index format meaningless, although many ebooks are simply lifted from the print version without this important factor being taken into account. A few publishers and publishing services have now developed systems which enable index entries which are marked or embedded at the relevant points in the text to be converted to hyperlinks, thus providing indexes with active linking to the text. However, there still needs to be more work done on making an ebook really index-user-friendly and maximising its potential to add value. There is much more on indexes and e-publishing in the website of the Society’s Publishing Technology Group.